Solidarity with Striking CWA workers! 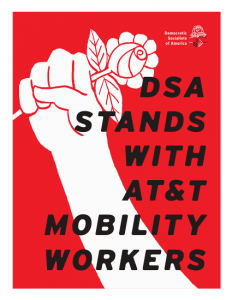 Today, May 19 through Sunday May 21, our friends and comrades at in the Communication Workers of America are going on strike at AT&T stores around Cleveland and across the country. Tens of thousands of their members at AT&T have been working without a contract for months. If AT&T CEO Randall Stephenson doesn’t settle by 3pm ET tomorrow, they’re going on strike. The Democratic Socialists of America and the Cleveland DSA proudly stand in solidarity with the Communication Workers of America as they prepare for what will be one of the largest strikes of retail and call center workers in the country. 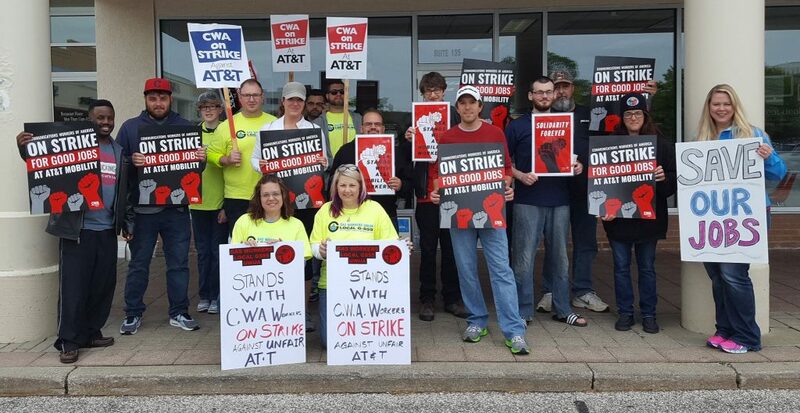 Local organizers from CWA have asked us to help reinforce the picket lines at the AT&T Store at 6901 Rockside Road, Independence, OH 44131. If a contract isn’t reached today, strikes will begin at 3:00 pm and continue Saturday and Sunday. Please come join us for as much of the strike as you can! If you can’t join us in Independence, you can find another location here. Strikes are happening at AT&T stores across Ohio and around the country. Even if you can’t spare much time, stop by a picket to show your support! This may be the biggest strike of retail workers at a national company in U.S. history. CWA has reached out to DSA members for help. We’re talking about 40,000 workers in 36 states standing up for their jobs — and their dignity. Will you join striking workers at a picket line at a nearby retail store, either this Friday, Saturday or Sunday? Click here to find a location near you and RSVP. And you can print out downloadable signs here and here.